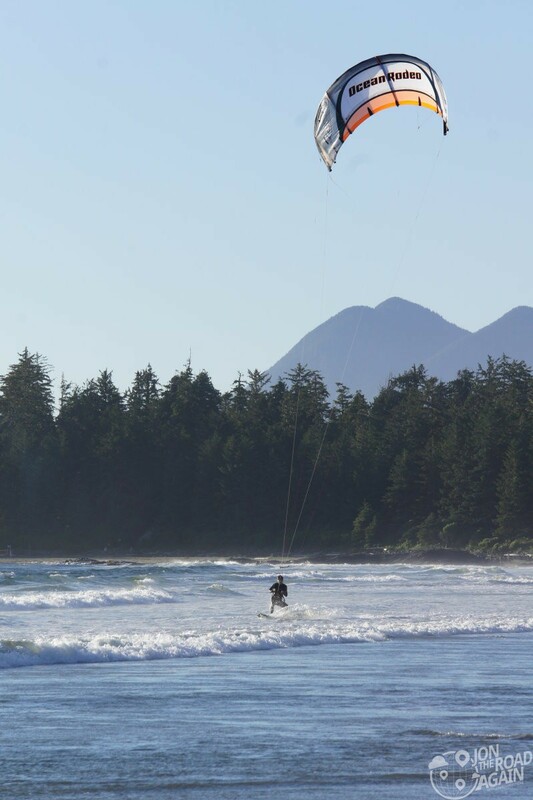 35 km of beach around Tofino means it’s a hot spot for sun and surf chasers. Surfing a year-round activity in Tofino because the water stays a constant 50 degrees Fahrenheit. In the winter, the surf is going to be higher, but even on today’s sunny summer day there were plenty of surfers and kayakers taking advantage of the water. Surfing in Tofino truly flourished by 1971, when the newly-paved Highway 4 to Vancouver Island’s west coast attracted many newcomers. Most of them were drawn to the dramatic beaches and wilderness, and some to the lively beach-dwelling subculture that emerged here in the late 60s. Some of these travelers had surfed before, and began to test the waters here. In the summer of 1968, a small surf school operated on Long Beach and by the mid-70s Tofino was becoming known as a place where small groups of people were surfing regularly during the spring and summer months. Today, some of the owners of Tofino’s surf schools are the offspring of these early surf explorers. 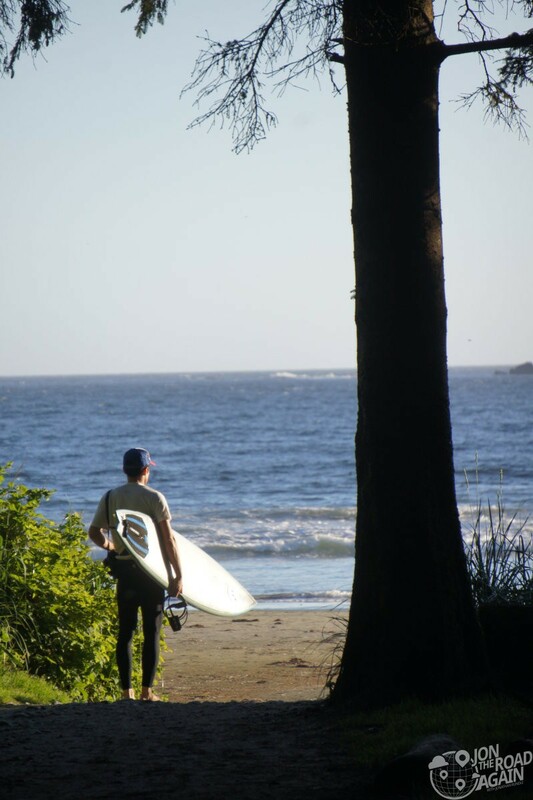 Chesterman Beach is Canada’s most popular beach for people learning how to surf. In 2010, Outside Magazine declared Chesterman “one of the best beginner breaks in North America.” Located about 8 minutes drive from central Tofino, with ample parking, this is the most accessible beach of all. Chesterman connects to Long Beach a little further south. Long Beach, located in Pacific Rim National Park Reserve, is about a twenty-five minute drive from Tofino. Long Beach is without doubt Tofino’s (and arguably Canada’s) most famous beach. 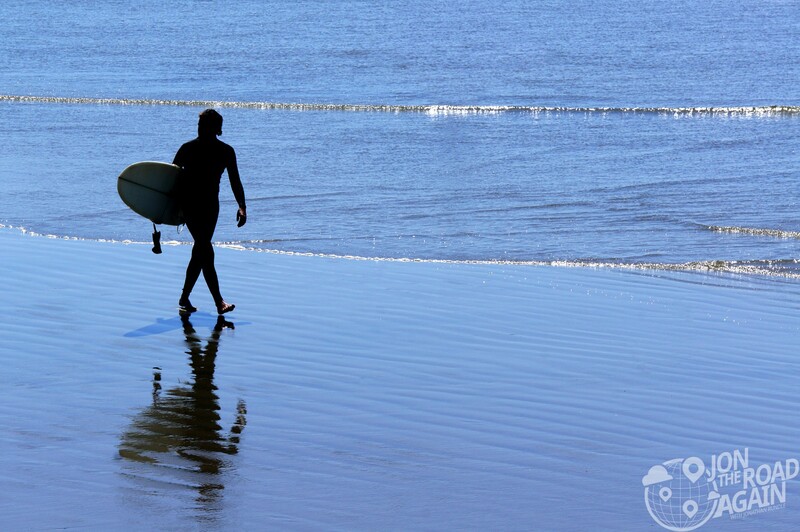 Along its 16 km of sand, you will find waves suited to all levels of surfing. 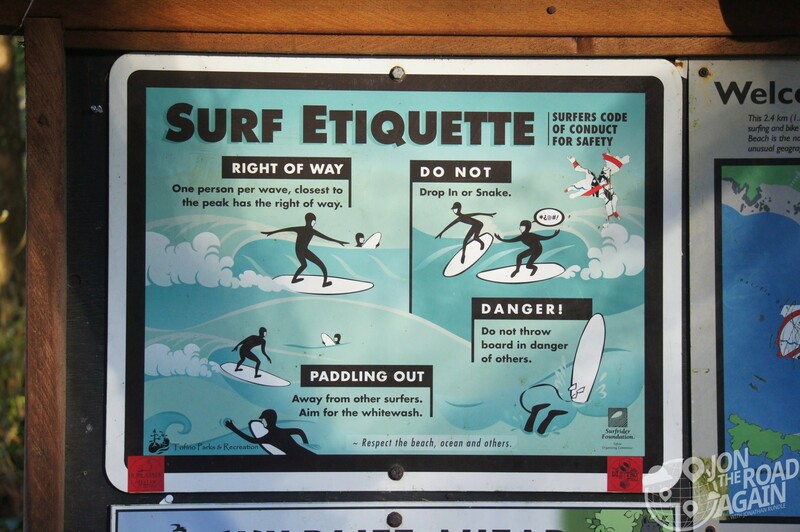 Of course, I suggest brushing up on your surf etiquette if you’re a newcomer. And now back to Victoria, BC with a stop in Port Alberni and Cathedral Grove along the way.